Frank Sinatra in New York, 1947. Public domain image. 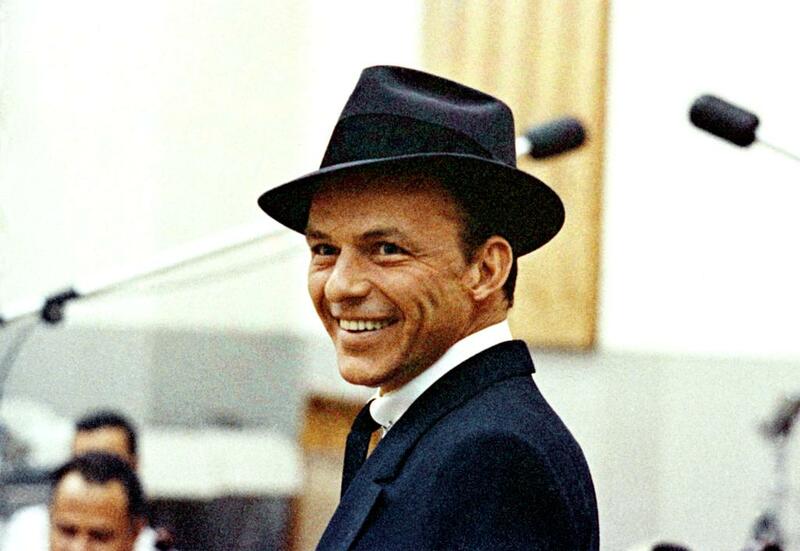 Francis Albert Sinatra, most known to the world as “Frank,” was a deeply introspective man, in spite of his coarse facade. This year, “Ol’ Blue Eyes” would have blown out 100 candles if he had made it to his Dec. 12, 2015 birthday. Instead, he left the world in 1998 at 82-years-old. 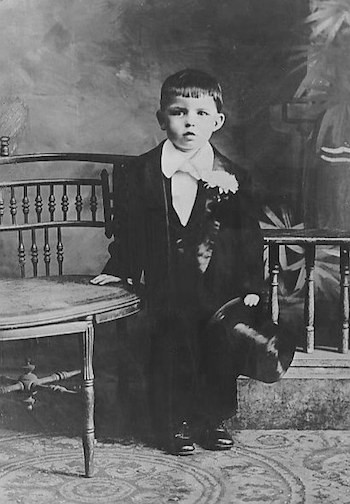 Frank Sinatra in a public domain image. As wonderful as he was, his son Frank, Jr. said his father believed in tough love — and although he was known throughout the world for his singing voice, nepotism didn’t reign and the younger Frank wasn’t cut any breaks in his singing career because he was the kid of the revered “Chairman of the Board,” — a moniker his Pop earned — and hated — while he overseeing Reprise Records. His love of family extended beyond the human family in his life and unbelievably, he was an animal rescuer long before it was in vogue. Frank was often photographed throughout his career cuddling his pet dogs, or even goofing around, with one of his pups in some photo stunts, including a famous pic with a card playing canine. He even bestowed dogs on friends as gifts, giving actress Marilyn Monroe a white Maltese, who she named “Maf” as an inside joke because of Frank’s reputed mob connections. His granddaughter Amanda told Closer that her grandfather rescued cats and dogs from the street, with the dogs in a spacious pen that encircled his home and the cats were able to safely sun and relax in his yard. Birds were another species that made “The Sultan of Swoon” swoon and figuratively take under his wing during his rescue efforts. He can be seen cuddling some pups in this video footage for his 1990 Birthday Celebration. A dapper-looking young Frank Sinatra. Public domain image. 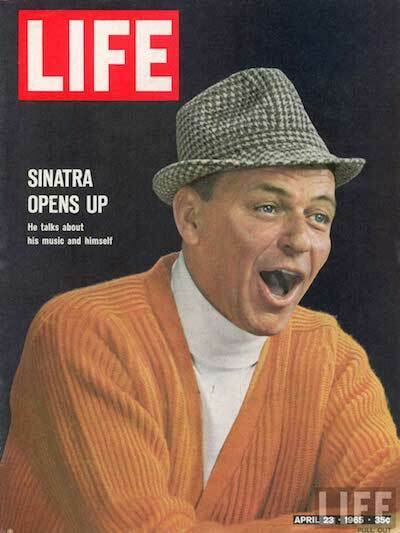 On the lighter end of things, Frank Sinatra loved the color orange, describing it once in an interview as “the happiest color,” often sporting orange or choosing orangey hues to brighten his home. Frank Sinatra pictured in his favorite color. Image courtesy of LIFE. He also constructed a train set that chronicled his career from its start in Hoboken, with a model of the train stop there. Frank supposedly loved foods, especially pasta and other Italian fare like eggplant parmigiana…and Chicken Chow Mein from Jilly’s saloon in New York City (here’s a link to a video about Jilly’s where he had his own chair – that Frank was the only one allowed to touch). 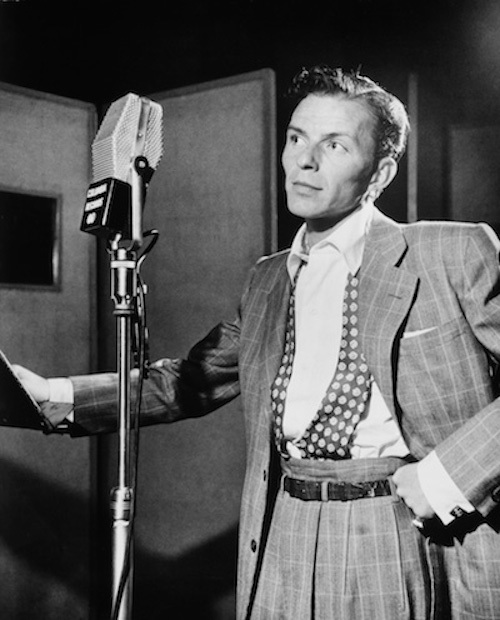 Apparently, Frank also had a bevy of things he requested in his dressing room, including a range of different types of sandwiches (chicken salad, egg salad and turkey), a shrimp platter and three cans of Campbell’s Chicken and Rice Soup heated up. He also requested Luden’s Cough Drops and Cherry Lifesavers. Those who filled his requests said that he barely touched any of the items, though he delved into the cough drops and Lifesavers — and enjoyed items from the bar in his dressing room as well as the tea service. Many photos show him chowing down over the years, including grabbing a dog (meaning the one on a bun) with Tony Bennett. 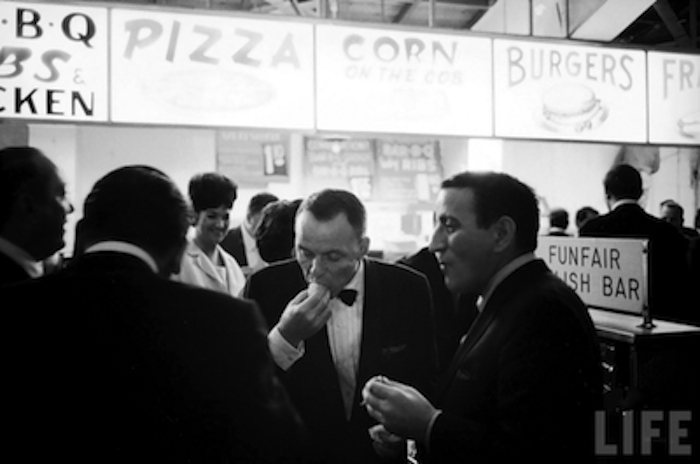 Frank Sinatra enjoying a hot dog with Tony Bennett. Image courtesy of LIFE. Speaking of Frank and “things” enjoy this clip from Young at Heart of him singing “Just One of Those Things.” Maybe for some of us, this is “just one of those things” that are our favorite about Frank. Like what you’ve read here? Click the buttons below to share with your friends! And click here to “like” us on Facebook and stay on the “Inside Scene” with all of our other cool stories.